The Finnish Warmblood breeding association was founded in 1926 with the intention of breeding a warmblooded riding horse that could be used for both sport and military service. The goal was an elegant, modern horse with good balance, athletic movement and solid character. After their calvary needs were finished, demand for them declined, as did their numbers. 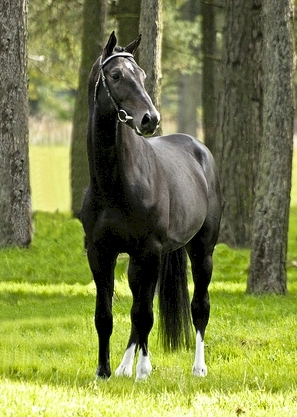 Today’s Finnish warmblood, like most European warmbloods is used primarily for sporting purposes.